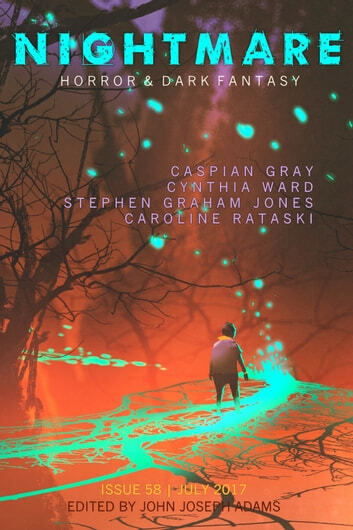 This month, we're bringing you original fiction from Caspian Gray ("Promises of Spring") and Caroline Ratajski ("And With Her Went the Spring"), along with reprints by Stephen Graham Jones ("Brushdogs") and Cynthia Ward ("The Midwife"). In the latest installment of "The H Word," we have Nathan Carson sharing the creepy truth about goats. Plus, we've got author spotlights with our authors, and a feature interview with DONNIE DARKO's Richard Kelly.